Kicking off December in incredible ways! There was laughter. Inspiration. Unveiling of the new Team Kit. Camaraderie. Awards. And there was a KILLER taco bar! What a GREAT NIGHT recapping all of the amazing 2018 Team Hometown Bicycles accomplishments and sharing heartfelt appreciation for everyone who made it possible: Sponsors, outstanding Team Captains, volunteers who went above and beyond, and everyone else who helped to make it one fantastic year! We welcomed new Sponsors and returning Sponsors — thank you! — and feasted. We welcomed new Team members and shared our mad love for cycling — and feasted. We laughed and some of us even cried — and feasted. Oh my gosh, did we mention that we feasted?? Thank you to Lowry Solutions for sponsoring Team Night and to Beauchamp Water Treatment for supplying the bottled water for the evening. We couldn’t do it without you! Missed Team Night? You can still join the Team! Drop by our shop for a Team Application and to figure out your kit size! Team Hometown Sponsors are so much more than a logo on a jersey. Our Sponsors live the lifestyle we promote and actively participate in the sport we love! Over the coming emails, you’ll enjoy interviews with each of our Sponsors – courtesy of your Events Coordinator Leslie. Learn what makes them tick, the services they offer, AND crazy fun trivia about these amazing people who have chosen to support your Team! Originally from the Detroit area, Vinnie attended Miami University in Oxford, Ohio, where he competed on the Varsity football team and earned his Bachelor of Arts in Psychology. He was accepted into the Physical Therapy Program at Daemen College in Amherst, NY and graduated with his BS in 1996. After many years in the field, and a climb from staff therapist to clinical director, Vinnie returned to Daemen College and earned his Doctorate in Physical Therapy in 2004. In 2010, he started ProMotion Physical Therapy, PLLC, in Brighton. His main focus is the treatment of orthopedic and sports-related injuries. In addition, Vinnie is a certified Level 2 Clinical BikeFit Pro. 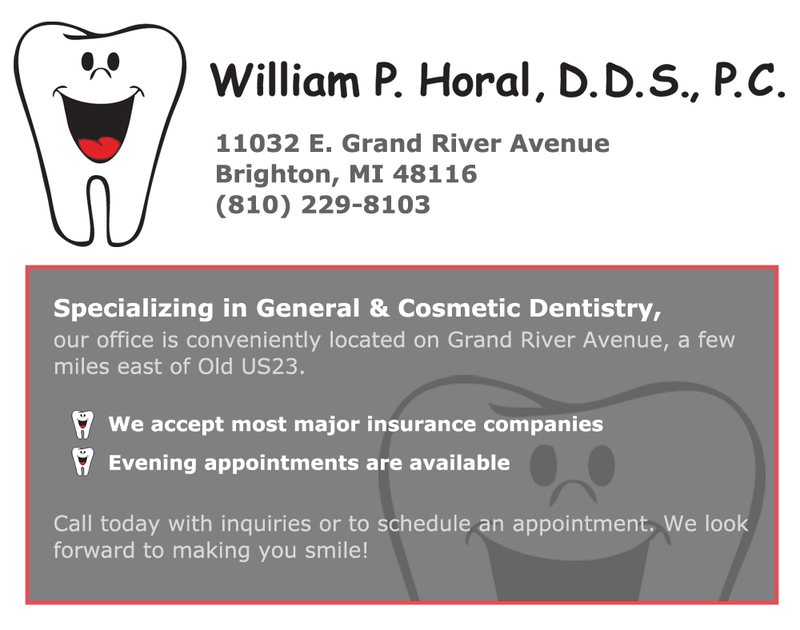 As a family owned and operated facility, ProMotion values their patients and staff as extended family. The core staff has been together for over 5 years. Trying to keep patients with the same therapist as much as possible is a key philosophy. The facility is open early mornings and later evenings, as well as Saturdays, to meet the needs of their client base. ProMotion is actively involved in the community, including Brighton Area Schools. What’s this about a BAND? In the spring of 2016, Vinnie’s cousin, Greg, said, “Let’s form a band, and you can play the bass.” This sounded great in theory, as Greg and his brother, Steve, had been in bands before – Vinnie, however, had never played the bass! Good thing he was game for trying because the band D.o.L. (Descendants of Levon) was formed. Levon was the middle name of Vinnie, Greg and Steve’s grandfather. Family inspired the formation of the band; therefore, it seemed apt to choose a band name to represent theirs. When asked about favorite songs in their repertoire, Vinnie said some of his include “Dreaming” by Blondie, “Why Pt. 2” by Collective Soul, “Am I Wrong” by Love Spit Love, and “Only a Memory” by The Smithereens. Stage fright? Yay or nay? “It hasn’t really been an issue at this point, and I hope it stays that way,” says Vinnie. Mint chocolate chip, coffee, superman, blue moon, bubblegum, chocolate chip, moosetracks. Yes, these are some of Vinnie’s favorite things. And how about those resolutions? We can’t wait to collaborate with Vinnie and ProMotion on MANY exciting endeavors in 2019. Stay tuned to see what kind of fun we’re cooking up together! Above from left: Colleen Fitzgerald of Sky Zone Indoor Trampoline Park, Dr. Tianna Rooney ofPerspectives Therapy Services , Lisa Nelson of Hush Intimate Apparel, Dawn Bhajan (Hometown, CEO), Kelly Myers of Myers & Myers, PLLC, and Leslie Barrett (Hometown, Events Coordinator). Yes, MAGIC… because that is exactly what happened at our inaugural Women’s Entrepreneurship Forum on December 4th. Wow, wow and WOW! Over 40 women attended our kickoff event for women business owners, current and prospective. Dawn and Leslie, your Hometown ladies, both believe strongly and passionately in entrepreneurship and understand the many challenges women face along the way. We couldn’t be more pleased with the exceptional panel of REALwomen who shared their expertise, personal struggles and triumphs, humor, and vulnerability with all of us at this event. Thank you so much for giving of yourselves. What a diverse and fascinating audience too! With the positive feedback we received, we cannot WAIT to continue this series in the New Year and create a supportive network for women entrepreneurs here at Hometown. If you have an entrepreneurial area of particular interest, please email Dawn at office@myhometownbicycles.com or Leslie at events@myhometownbicycles.com. We would love to hear from you! the Toys for Tots bin overfloweth! ~ Please help us keep that holiday spirit flowing! (Happy Father’s Day to my soulmate and father of my amazing children… you’re a wonderful dad, Shaun! )THIS SUNDAY, IT’S ALL ABOUT YOU, DADS! Dads are remarkable people – combining the best of provider, protector, and person we most admire in one exceptional human being. That warrants some extra love this Father’s Day, June 18th, don’t you think?? THE FUTURE OF MOUNTAIN BIKING LOOKS GREAT! Last weekend, Shaun and a handful of Team volunteers set up a support station at the PotoMBA’s Take a Kid Mountain Biking Day event… and shared the joy of cycling with a knee-high crowd of cuties. Shout out to Team Hometownie Jacob Henriksen (at right) for having the foresight to bring extra kiddie helmets for children who came without head gear. They were put to good use! Overall, we’re thrilled to say that the future of mountain biking is looking just grand! In fact, we did swing by the Brighton Bulldogs’ U9 Travel Baseball game last weekend to cheer on the Team that Hometown Bicycles is proudly sponsoring… and we learned that the attention span of a 2-year-old and a 9-month-old adds up to approximately 2.9 minutes, so we sadly didn’t stay long enough to see our favorites win 17-11! Congrats, Bulldogs! Click HERE for the Team’s game schedule. In last weekend’s Island Lake Challenge Spring Mountain Bike Race, 9 Team members – Leslie Cook, Mark Lang, Olga Negrut, Joe Ostervik, Roger Pelkey, Doug Queener, Brien TerBush, Linc Wherly, Steve Wortley and John Wyatt – laid some definitive claim on what amounts to Hometown’s “backyard”. We’d like to congratulate Olga “ The Rocket” Negrut, who took home the gold in Expert Women, Roger Pelky, who also powered to 1st in Sport Men 60-65, and Linc Werhly, who podiumed at 3rd place in Beginner Men 50+. (Thanks, Jack Riddle, for capturing it all on camera!) Job very well done, Team! • Thursday 6/29 (Emergency Repair). NO CHARGE for these HANDS-ON CLINICS. Hang out with Hometown at Sky Zone Trampoline Park of Brighton at their annual Summer Bash on Friday, June 16, 12pm-5pm, where Shaun will be running our tire toss game! As a fundraiser for the Livingston County Humane Society, there will be adorable animals for snuggling and adopting, plus a fire truck and police car for kids to explore, face painting, balloons, food trucks, coupons and swag from local businesses, raffles, and giveaways. Think about the fun you’ll have with your kiddies!! Click here for info or, better still, come out and help us support a fellow business that’s supporting our community! Good news for your overworked, under-appreciated cycling muscles – Ashley of Tocca Massage & Yoga is bringing her insanely popular Vinyasa Yoga class back to Hometown! Held in our Community Room, this 3-week, Friday morning fun class starts June 16th at 9am. It’s all about dynamic movement and stretching, not perfection and freaky, double-jointed pretzeling. Whether it’s your first or 500th class, you’ll gain immeasurable benefit from this ancient art made user-friendly. $10 per class. Email ashley@toccamassage.com with questions. Tapping on her Degree in Nutrition and Bob Seebohar’s revolutionary Metabolic Efficiency research, Hometown’s Amy Gluck is coming back next week with a topic to intrigue ANY athlete – a way to train your body to burn fat for fuel, instead of using quick-access carbs. It can be done! In her talk about Metabolic Efficiency Training, you’ll learn what it is, how to do it, and the enormous benefits to be gained… like no more GI distress at competitions, never hitting “the wall” again, and turning yourself into a lean and efficient, fat-burning machine! NO CHARGE! Amy’s full blogs are posted HERE on our website. Add it to your calendar, Hometownies! It’s an annual tradition for Hometown to lead off this pre-Tour teaser of one of our favorite events ever – the Tour de Livingston. Ride with us!! Sadly, Shaun missed out on putting the green at what turned out to be a wonderfully successful Charity Golf Classic for the Huron-Clinton Metroparks. The keynote speaker, Greg Kelser, was warm and engaging, and the light showers cleared up in time for a beautiful day and evening. But Hometown was still proud to contribute with a bicycle donation for their silent auction, which was won by an architect with four children ranging from ages 7 – 14. So, the bike will get a lot of love, the Parks benefited, and that makes us happy. We are absolutely geeked to be partnering with these big-hearted folks with an event that combines kids, bicycles, patriotism, and a community parade! Check out the flier at left and click HERE for further details. This friendly road ride takes the back entrance to Island Lake and explores park roads. The plan this week is to ride 1-1.5 hours at a 10 mph average pace. Ride whatever bike will work for the pace and your desired exercise level. This is a NO DROP ride (a support rider will be the last person back). Check back for ride confirmation/changes due to weather. Join us for an INTERMEDIATE pace forward/backward loop night adventure at the Milford Trail. We roll from the Janowski Field Trailhead (301 Peters Rd – between GM Rd & Commerce Rd). Charged lights are required for this ride. We will re-group throughout the trail. Mountain and Fat Bikes are encouraged to join this ride. Check back for ride confirmation/changes. Don’t forget your bug/tick spray! In observance of Father’s Day… but be sure to check out our Dad’s Day ride below! As a tribute to Father’s Day, the Beginner Friendly Mountain Bike Ride leaders would like to encourage riders to bring their dad out for a 1.5 hr trail ride on Sunday. We’ll ride from Hometown Bicycles to the back of Island Lake and explore 9 – 15 miles of the Island Lake Mountain Bike trails, splitting into a couple of groups. All levels of riders are welcome at this 1.5 hr pace. This is a NO DROP RIDE – which means we will have a ride support person at the end of the last group. Mountain and Fat Bikes are encouraged. Come join the Hometown Bicycles crew for this NO DROP ride. Road bikes only please. We’ll travel towards the back of Island Lake, then head through the park roads to the well-known “Green Dumpster” and back – approx 12 – 15 miles. Those ready for more will group up to do more mileage to satisfy their cycling need! Expect a 12 – 17+ mph pace to accommodate riders’ skill levels. All level riders are welcome – we’ll split into groups according to experience and speed, with a sweep to bring up the rear. Please make sure you have some experience riding the bike you bring to this ride and are comfortable with the way it handles, including basic shifting and braking, for the safety of all. Beyond that, our friendly ride support are delighted to share tips on how to make the hills easier and the flats faster – just ask! This ride from Hometown Bicycles covers 13+ miles of pavement, dirt trails and gravel roads between 12 – 13 mpg average. We’ll ride the back of Island Lake, enjoy some gravel (a few hills just for fun! ), pop onto some paved roads, and grab a dirt trail back into ILRA. Expect a few “puddles” of sand. Nothing our gravel, adventure/mountain/fat bikes can’t easily handle! Standard road bikes (skinny tires) are not appropriate for this ride. All levels welcome – NO DROP RIDE (a support person will be the last rider). And touching on the adventures that await Team Hometown Bicycles 2017. Missed it? Bummer! But you can still be a part of the Team! Check out our Team Application HERE, and email Jean at ride@myhometownbicycles.com or stop by the shop for further information. Thank you, every single one of you, for making this a night to remember for all the right reasons! ACHE OR INJURY AFFECTING YOUR CYCLING… WHO YOU GONNA CALL? PRO-MOTION! We couldn’t pick a more perfect week to introduce you to our Presenting Sponsor for Team Hometown, AND the presenting speaker for this week’s ever-popular Bike Fitting Clinic – Pro-Motion Physical Therapy of Brighton with Vinnie Baylerian, PT, DPT. Vinnie and his wife, Susan, (yeah, we’re ALL about those husband-wife business teams!) operate Pro-Motion from a core of exceptional service and family values. PLUS, they’re a cycling family, loved in the community, and the truest of bluest Hometownies. Is it any wonder that we ♥ ♥ ♥ this company?! Pro-Motion Physical Therapy (est. 2011) is a locally owned, outpatient physical therapy clinic in Brighton’s downtown area, specializing in orthopedic and sports therapy, pelvic floor rehabilitation for women, men, and children, and vestibular rehabilitation. They also offer programs in lymphedema and bike fitting, and recently opened a satellite office in Howell. At Pro-Motion, a thorough examination sets the stage for a personalized treatment plan designed to help you effectively and efficiently regain function. Manual therapy, exercises, modalities, and progress monitoring are used to help you achieve your goals and move forward to a better quality of life! MISSION: To provide the highest quality physical therapy in a professional, friendly, caring and comfortable environment; treating each patient like family, utilizing a hands-on approach and developing custom treatment plans to help each individual reach their maximum functional potential in the most efficient manner. CLICK HERE to meet the experts of Pro-Motion Physical Therapy! BIKE FITTING BASICS – REGISTER NOW! Guest speaker, Vinnie Baylerian of Pro-Motion Physical Therapy, covers bike fit that maximizes efficiency and minimizes discomfort. EMERGENCY BIKE REPAIR PART 1 – REGISTER NOW! Part 1 of 2, this clinic is hands-on! We’ll cover quick, on-the-go bike fixes to help you avoid a long walk home. EMERGENCY BIKE REPAIR PART 2 – REGISTER NOW! Part 2 of 2, this clinic covers the perennial favorite – flat tire fixes! Bring along your wheel for some hands-on practice! WHY JAMIS? – REGISTER NOW! A favorite addition to our clinic series, “Why Jamis?” answers who Jamis is, what they offer YOU, and why we’ve loved ’em from Day One! Jamis rep and our “brother-from-a-different-mother”, Tom Trentanove, will guest speak and answer your individual questions. WHERE TO RIDE IN MICHIGAN & POTLUCK PARTY! – REGISTER NOW! Bring your favorite dish to this munch-and-learn, wrap-up clinic party! Enjoy your fellow clinic-goers’ culinary skills, while we share some of the best parks and routes in Michigan for your cycling Adventures, plus groups you can ride with. After doing my 30 to life in the auto industry, I am lucky to now pursue my passions of cycling and music. I love mountain biking and “getting lost” on Michigan’s back roads. I just work part time now, and I’m so glad that when I do go to work, I get to go to my Happy Place with the Hometown family. Then when the weekend rolls around (that’s Wed for me…hey somebody’s gotta do 4 day weekends and it might as well be me :D) I get to play with a bunch of different talented local musicians, playing blues, rock and old school R&B. I usually have a musical project or 2 going on. Oh yeah, and to any home brewers, I’m a beer tester… will work for beer! Let’s pack the room with Hometownies! Whether you’re a spin god/goddess or are secretly wondering what a spin bike looks like, this class offers the flexibility to customize your challenge level. It’s a high energy, Hometown-friendly chance to pedal among friends, and YOU DON’T HAVE TO BE A MEMBER TO PARTICIPATE. Have a Hometown jersey? Wear it with pride! And be sure to hang out afterward for Shaun’s post-spin, “ask-the-expert”, fat bike and winter cycling demo in the lobby. SPECIAL DISCOUNTED PRICING FOR HOMETOWNIES: $5 drop in for non-members. BIKES ARE LIMITED SO BE SURE TO SIGN UP EARLY!! LET SHAUN KNOW YOU’LL BE RIDING WITH HIM – CLICK HERE! Keep an eye out in upcoming newsletters for even more opportunities to pick Shaun’s bike brain over at Hamburg Fitness Center & Camp! All rider levels are welcome for this relaxed pace, NO DROP shop ride. Be prepared to push your bike up a hill or two! This is a Plus/Fat Bike expedition. Not appropriate for “skinny” tires. To protect our singletrack, we’ll be avoiding all mountain bike trails until they dry or freeze. Follow us on Facebook for ride confirmation and updates. We’re just 8 short weeks away from the official arrival of Spring. Don’t panic… we can get you there in top form! Be sure to check out our fat bikes and rentals, winter shop rides, and fitness classes to keep you in peak cycling condition. Plus, we’ll have your bike running like a dream with our famously phenomenal bicycle tune-ups and repairs!